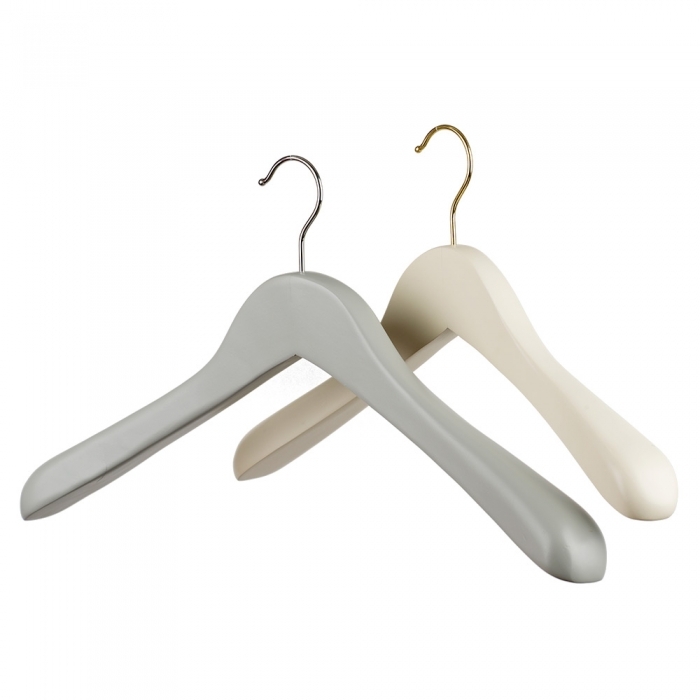 Broad wooden grey suit hangers with a shoulder depth of 4.5cm and contemporary chrome hooks. 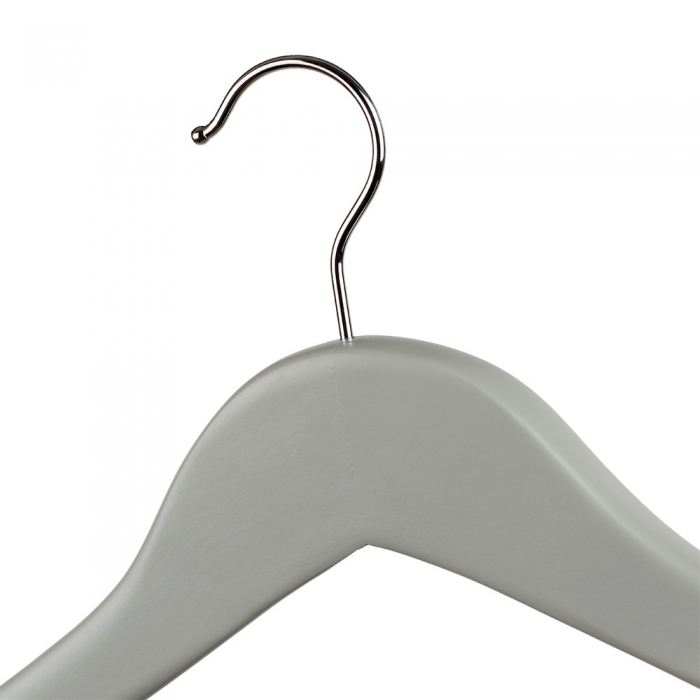 Ideal for male suits and jackets. 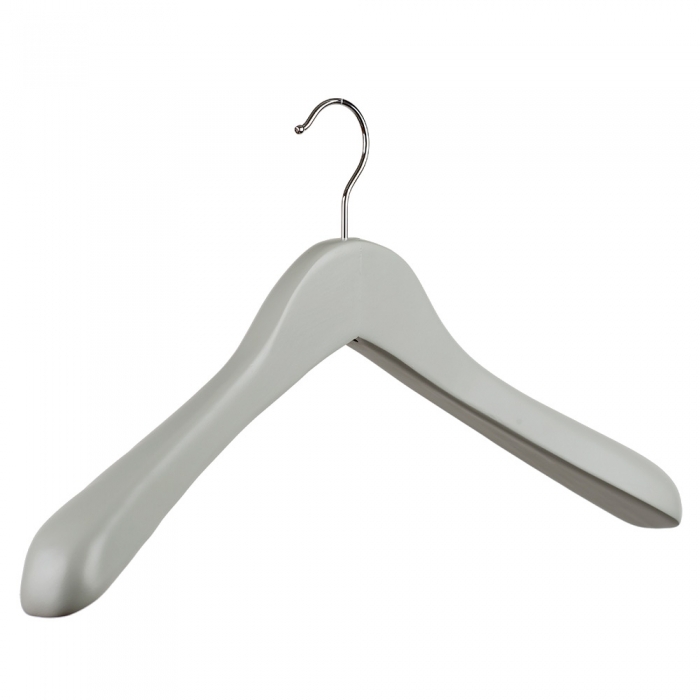 Supplied in a matt light grey paint finish. 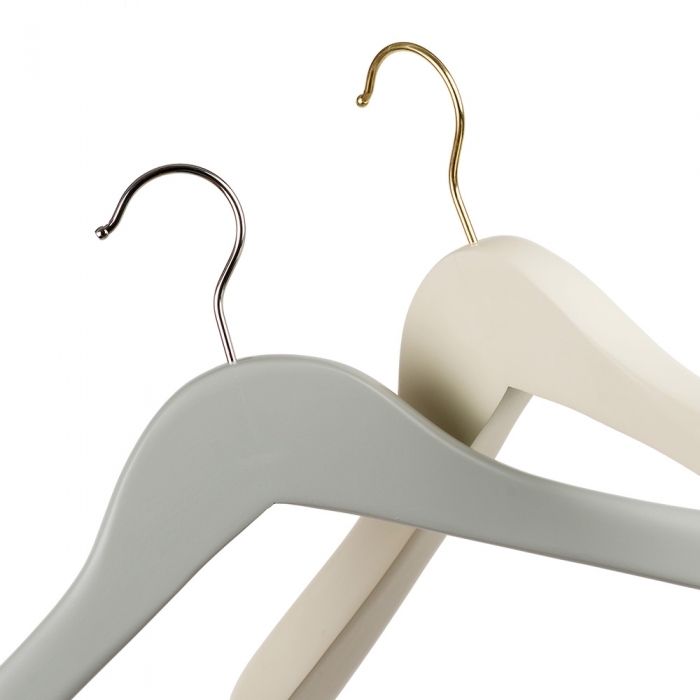 Sold in boxes of 20 hangers. 45cm wide. 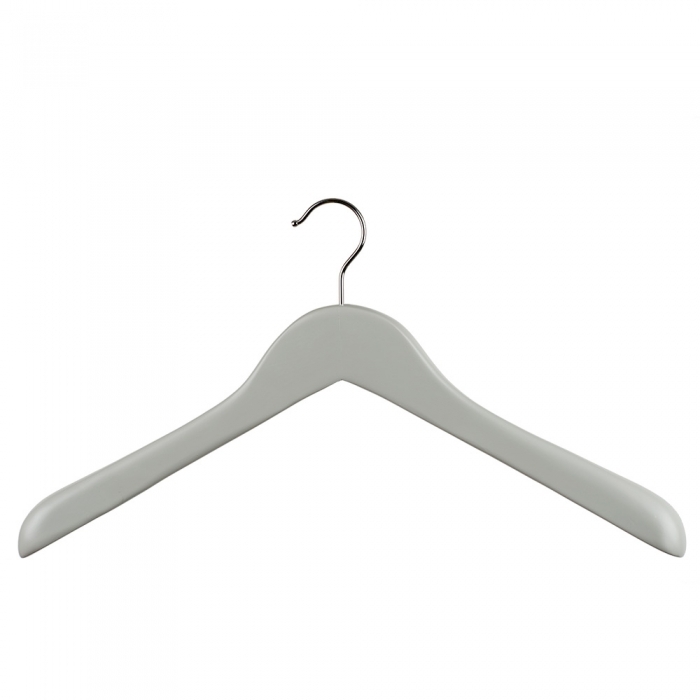 Similar Female ivory wooden hangers also available.